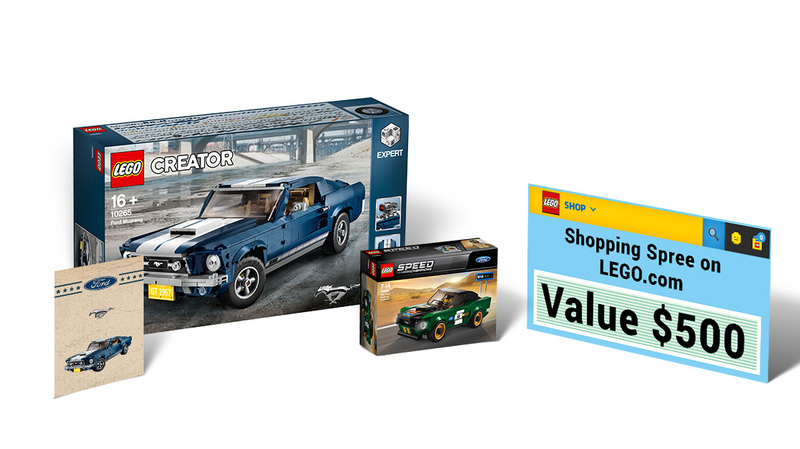 LEGO IDEAS - Blog - New Contest - Go Retro and design your own 1967 Ford Mustang vintage poster! New Contest - Go Retro and design your own 1967 Ford Mustang vintage poster! It's a total Mustang takeover! We'll be running not just one, but two awesome contests centered around this iconic muscle car! So join us on this wild ride! The 1967 Ford Mustang - an American legend and a true classic! To honor this beautiful classic, we’re looking to see your original take on a vintage poster featuring a 1967 Ford Mustang. So, show us your very own design and be sure to incorporate that vintage, retro look and feel to your poster – oh and of course it should be built in LEGO bricks! Submissions are open from today until the 3rd of April, 2019 at 6:00 a.m. EST. Our judges consisting of members of the LEGO Creator team as well as Ford team, will then review all the entries in accordance to the judging criteria. Contests have their own rules separate from the LEGO Ideas Guidelines, which are meant for Product Ideas. Contest Rules are found on the Contest page itself. Questions? Check out our Contest FAQ. Couldn't find your answer there, then ask in the comments below. Head on over to the contest page to read the contest rules and get started.